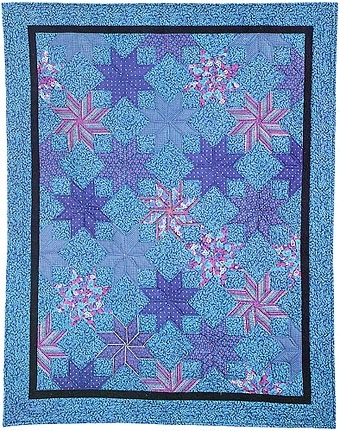 "This quilt can be made with scraps, with each star being a different fabric. The background could be muslin. 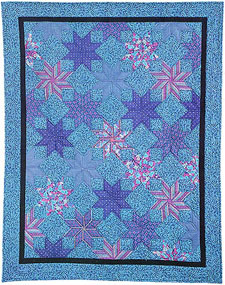 The small square could be an accent color throughout or, the entire quilt can be planned in your colors. For an "Amish" look, the stars could be in bright solid colors and the background black." Dimensions: Three Sizes - 42 3/4" x 42 3/4", 62 5/8" x 79 1/2", or 90" x 107"